We haven’t heard from him this year but the legendary modder Wolverine is back for the first time in 2009. 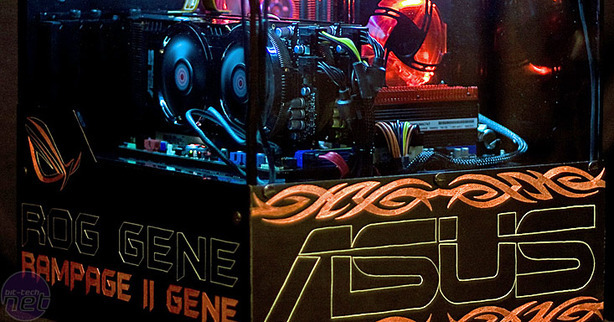 This time round he’s been sponsored by Asus to build a Core i7 case that’s based around the company's new Rampage II Gene MicroATX motherboard. If you haven’t heard of Magnus then his previous mods are well worth checking out, and many have deservedly been featured in recent Mod of the Year competitions. These include The Weighted Companion PC, The Reflection HTPC and The Pentagram HTPC. So here I am again with another modding project. This one started about six weeks ago when I received a phone call from Asus. It turned out that it had a new motherboard on the way and needed something a bit more eye catching than a stock case to show it off in. 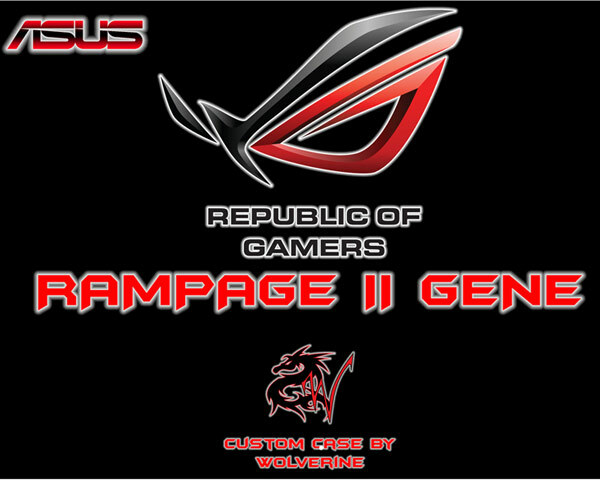 That motherboard is from the Republic of Gamers series and is called Rampage II Gene. It’s a Micro ATX motherboard that is supposed to pack a mighty punch! It's been chopped in half! This micro ATX Asus Republic of Gamers board is one of the last new P45s we'll see - and built on a smaller footprint this Gene branded little monster could tip the scales in favour of making a cheap, small form factor PC!